I think Michael was on a quest for a Grasshopper Sparrow yesterday. 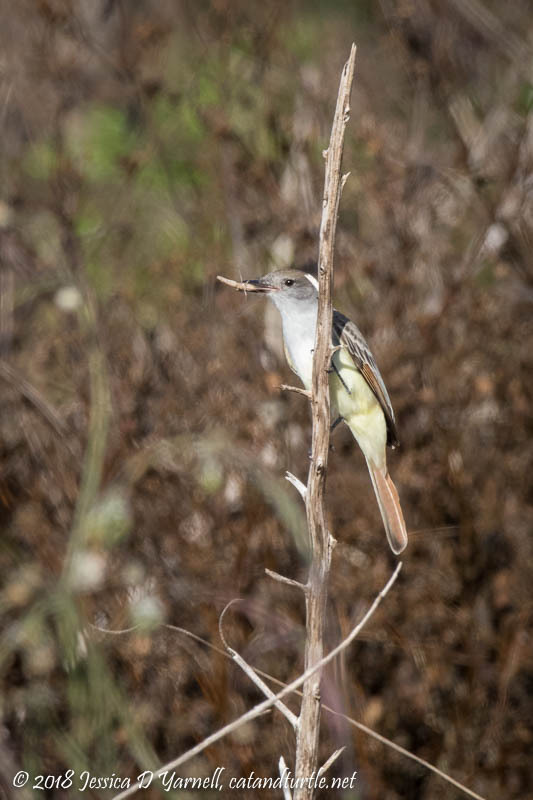 The flycatcher settled for a grasshopper instead! 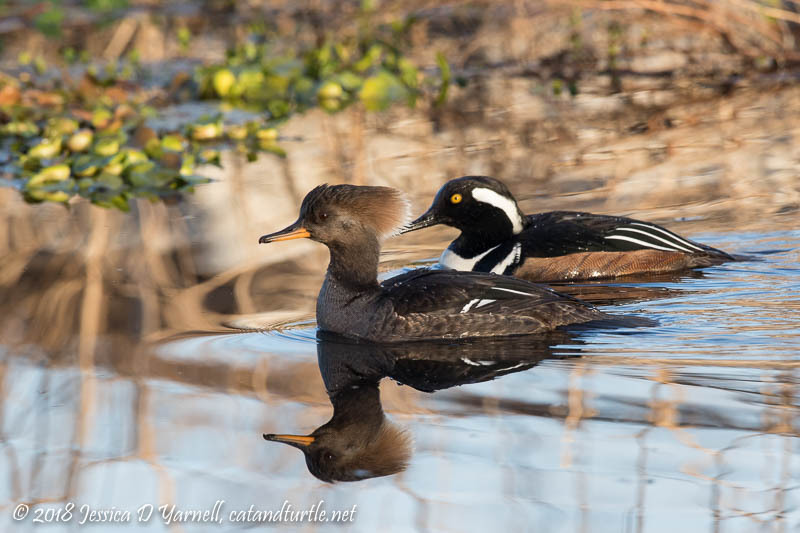 A pair of Hooded Mergansers greeted us early in the morning on the far side of the canal. They proceeded to swim away from us. Silly birds. Always swim toward the photographer, especially when there is no wind and the reflections are beautiful! 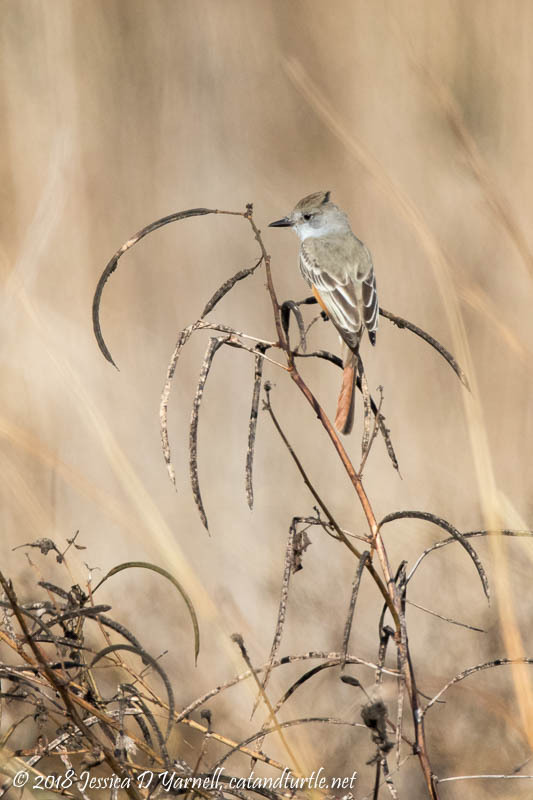 The Eastern Phoebes were jealous. They knew I was on a quest for flycatchers, and phoebes are in the flycatcher family, but as they are a common bird I didn’t take many pictures of them. So I decided to practice some flight shots. 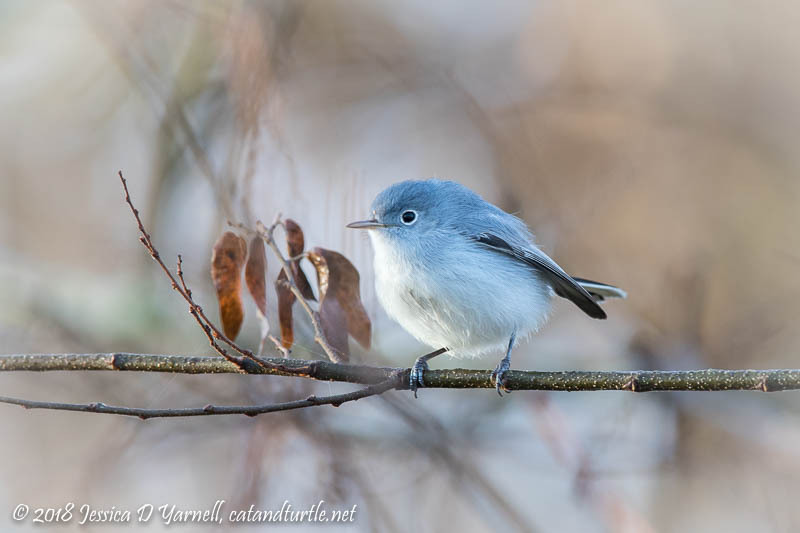 I never get tired of the little Blue-gray Gnatcatchers. They are so cute and such fun to follow as they hop, skip, and jump their way between branches. 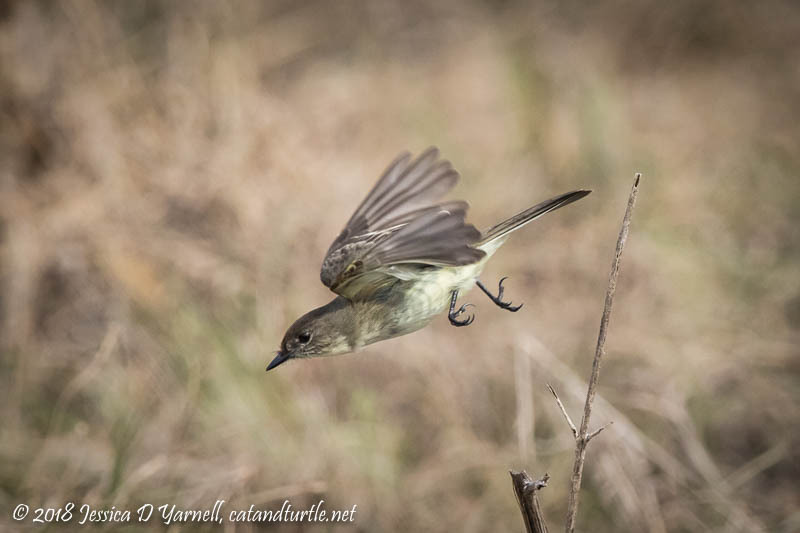 One day I’m going to nail the shot of a gnatcatcher hovering in mid-air while grabbing a bug. But for today, here’s a perched portrait instead! The morning was heading towards noon and I started to pack up to leave. 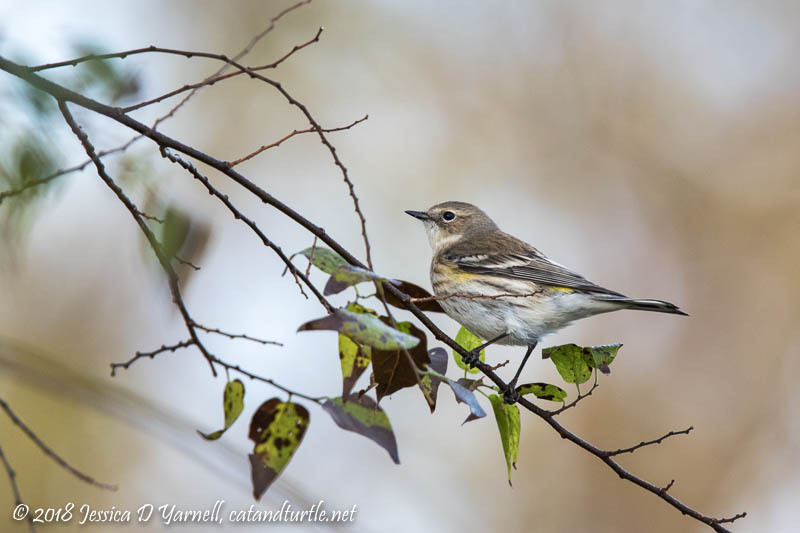 On my way out, I spotted two flycatcher-like birds on the power lines on the south side of Lust Road. I hopped out of the car again, grabbed the camera (yep, you always seem to put it away too early! ), and headed off to check out the bird. 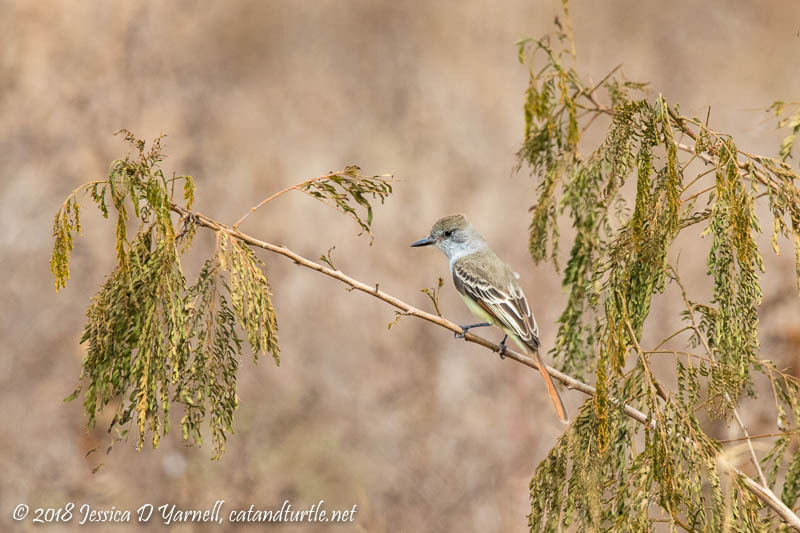 Western Kingbird! We watched it fly off to a tree on the north side of Lust and perch for a while. 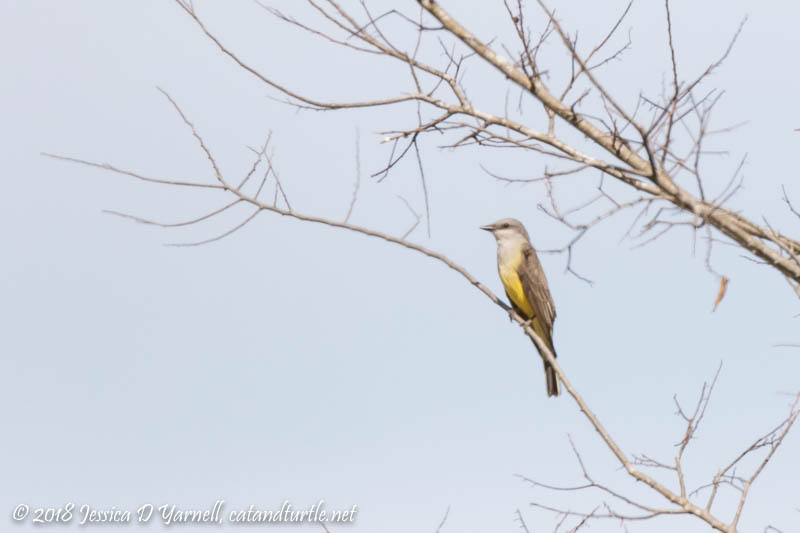 Not a lifer for me, but this was the first time I’d seen a Western Kingbird at the wildlife drive. A great way to end a fun morning! Congrats! Next time we’ll have to coax a better photo out of him. All mine were soft.